I have just come back from a week spent in Luxor and Hurghada with Emma. A review of a few words just doesn’t do this holiday justice. Emma has great stables with beautiful forward going horses in Luxor. There is a fantastic mix of sightseeing and horse riding, (and camel trekking if you wish) to see the many temples on the West bank and East bank. I then opted to do a hot air balloon ride as well which was a big highlight of the week. The accommodation in Luxor is a small and friendly quaint hotel called the Nile House. Nothing is too much trouble and the food there is plentiful and delicious. 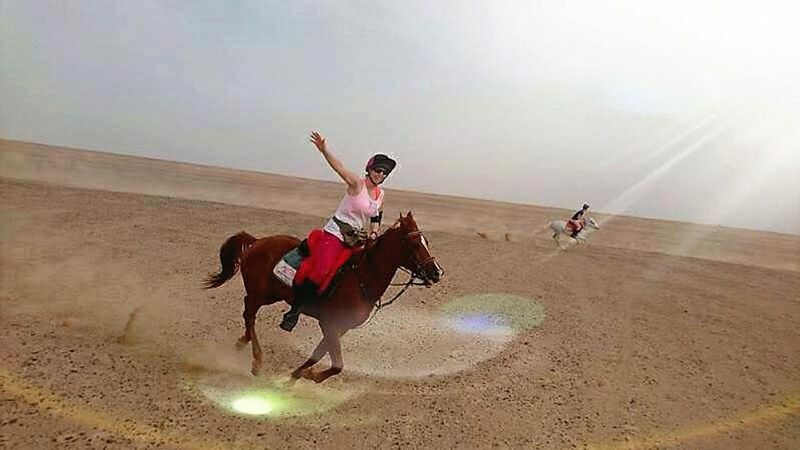 Emma then travels with you to Hurghada where you ride in the desert with horses from another of her yards. 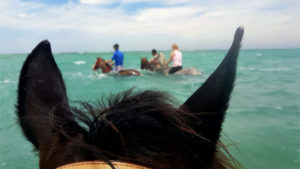 Also swam with the horses and went on a boat trip to swim with dolphins and snorkel in the coral reefs. Again another great beachside small friendly hotel with great rooms and food. Emma has built up a fantastic reputation in Luxor and Hurghada. She has a team of local guides at both locations who are so friendly and knowledgeable. 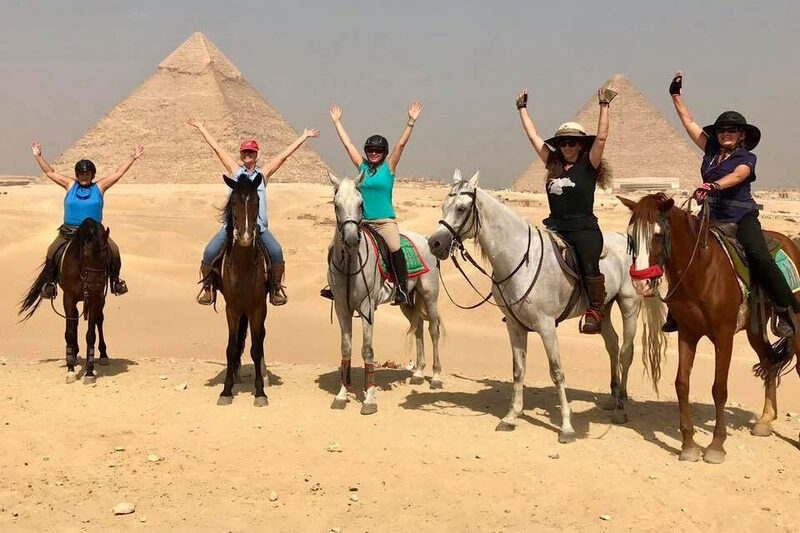 If you love horse riding and history/culture then a holiday with Emma and Ride Egypt is an absolute must. Truly a trip of a lifetime for me. 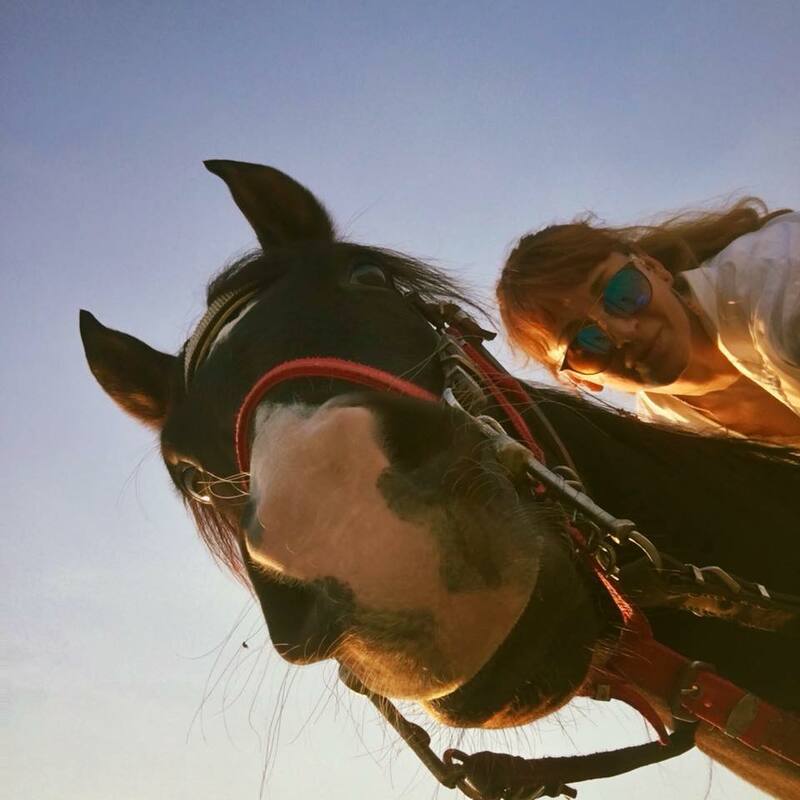 Les chevaux sont vraiment bien, très bien dressé, hyper gentils, et très bien soignés ! Emma est toute son équipe sont très attentifs à leur cavalerie. The contrasts between ancient and modern, traditional and current, breathtaking beautiful and less than, the music, the food, the people and culture all mix together into an intoxicating perfume. 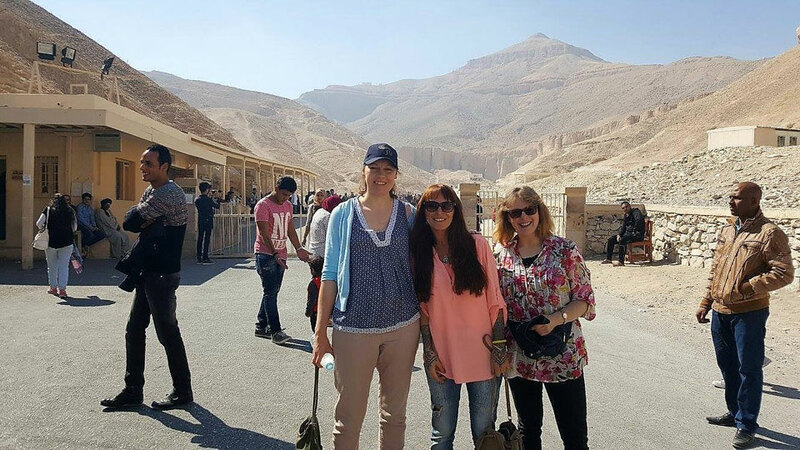 This trip for me was by far the best way to see Egypt; Emma is a great host and has created a trip that is brilliant introduction to the country which I thoroughly enjoyed.